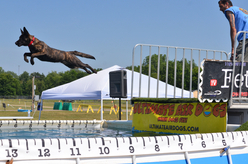 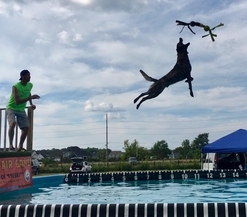 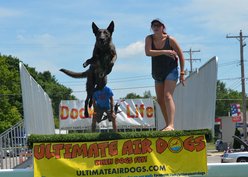 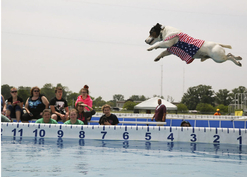 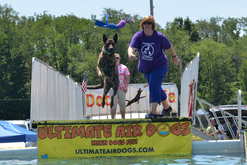 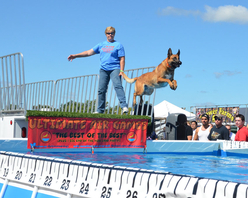 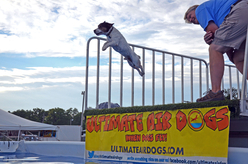 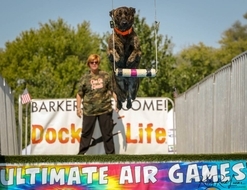 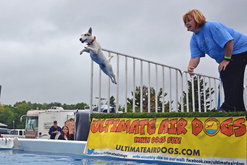 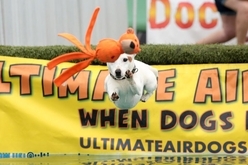 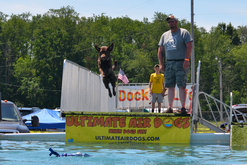 Dock Jumping is a UKC licensed performance sport where dogs jump off a dock into a pool during events hosted by Ultimate Air Dogs. 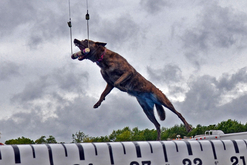 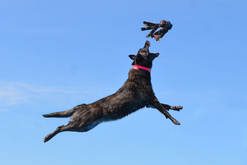 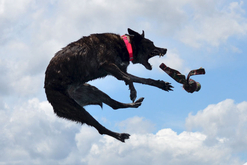 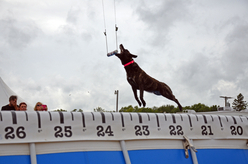 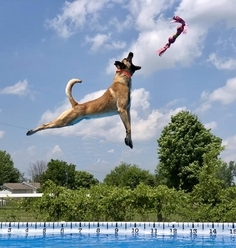 The dogs are motivated by a toy thrown by the handler or suspended in the air above the water. 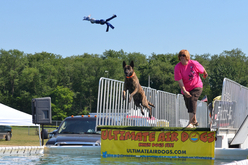 Ultimate Air (Distance jumping) is the original feature of dock jumping events. 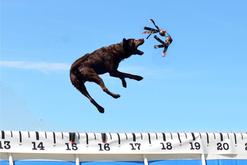 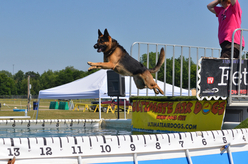 Dogs run down a dock and jump into a pool after an object thrown by the handler and the distance of the jump is measured (from the end of the dock nearest the waters' edge to the base of the dog’s tail where it lands in the water). 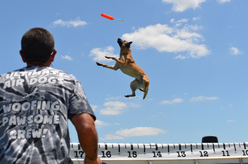 Catch-It is another distance jumping event, however the dog MUST catch the object thrown for the jump to count. 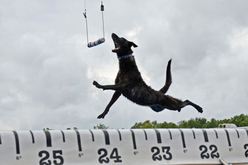 When the dog makes the catch, two distances are recorded: where the dog makes the catch, as well as where the dog’s tail lands in the water. 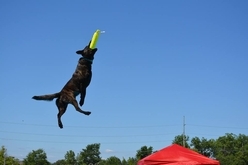 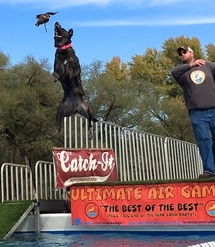 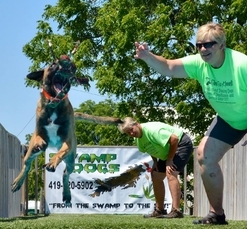 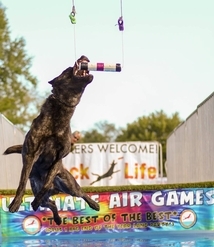 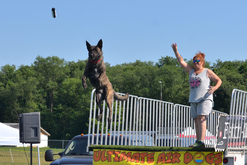 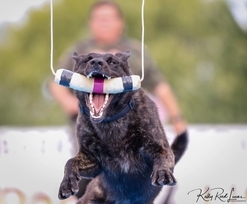 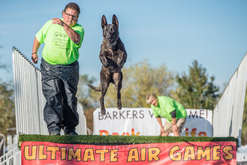 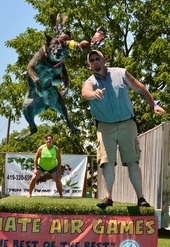 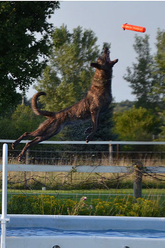 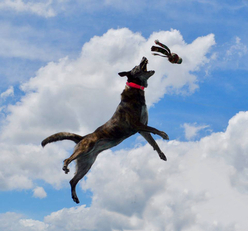 Not only is it an added challenge for the dog to catch the throw object while in mid-air, it also requires intense concentration, spot-on timing, and strategy from the handler. 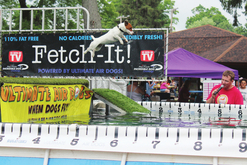 Fetch-It is a distance retrieve event where a bumper is suspended 4 feet above the water (starting at a minimum distance of 10 feet away from the dock) and the dog must knock the bumper out of its hold within two tries in order to move to the next level. 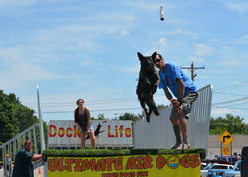 The bumper is moved out at 1 foot increments and the dog that knocks the bumper off at the furthest distance from the dock wins. 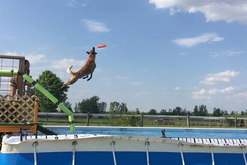 It is not only a sport of endurance and skill, it also helps condition dogs to jump further in regular distance jumps, as it trains muscle memory and improves speed on the dock. 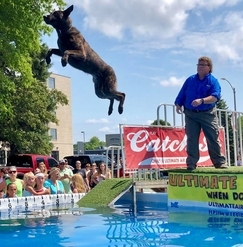 Chase-It is a timed swimming race that is either a swift water recall to the handler or a swimming race chasing a dragged lure object (the handler has the option of choosing either method). 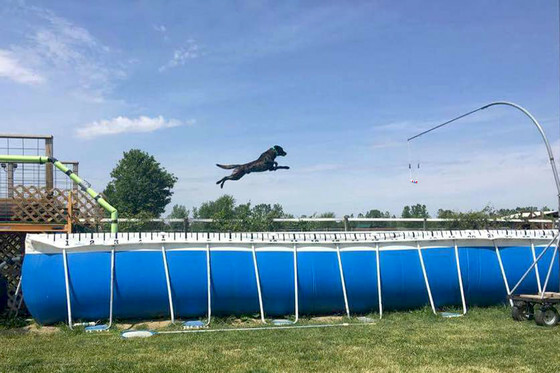 The dog with the fastest time to the end of the pool wins! 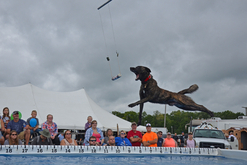 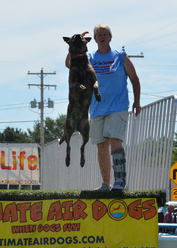 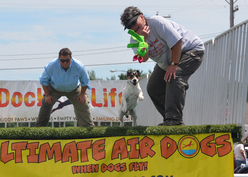 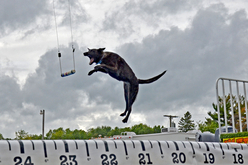 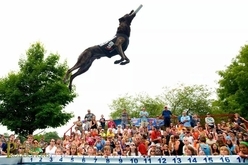 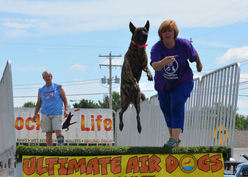 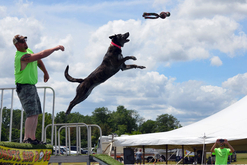 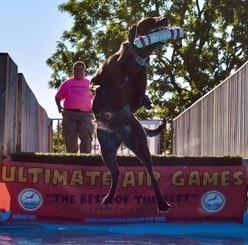 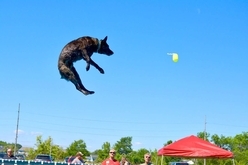 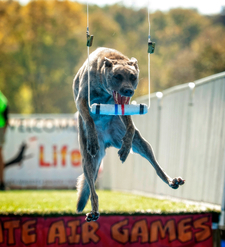 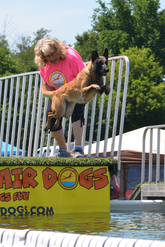 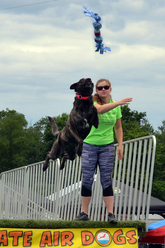 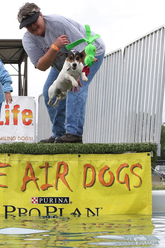 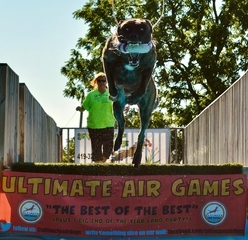 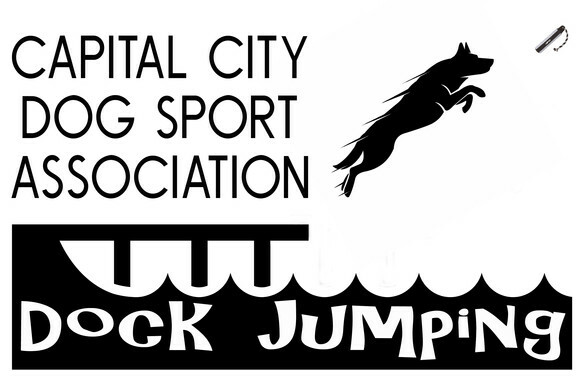 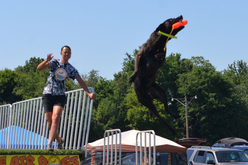 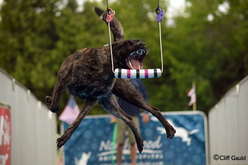 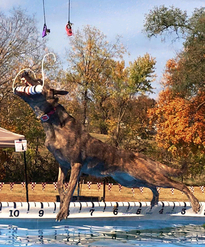 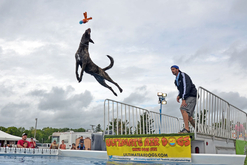 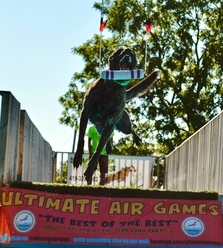 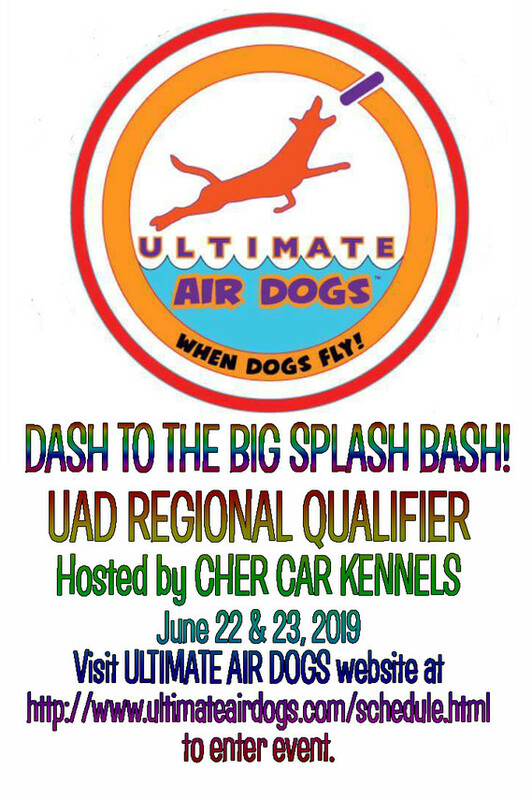 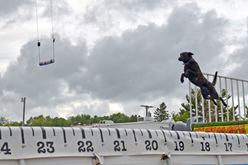 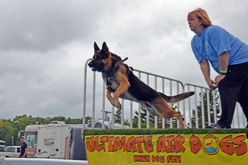 Capital City Dog Sport Association members have been competing in Ultimate Air Dogs Dock Jumping events since 2010 and have been quite successful in a variety of categories. 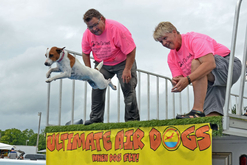 Enjoy the albums below showing our members competing in UKC Dock Jumping events.